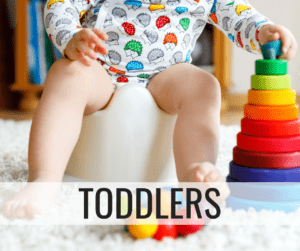 As a new mom, I had read through blogs and help books that said babies and toddlers thrive off of routine. Now, as a mom of two, I can attest that it is 100% accurate. There is something about knowing what event is coming next that really gives baby a sense of security. The unexpected can be scary, but routine seems to bring comfort to them. We have especially seen this in our night-time routine. In our home, bed time routine starts at the dinner table. 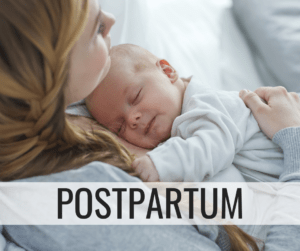 As we sit down, as we eat and as we clean up, we are constantly reminding our little ones that as soon as we are done at the table, it’s bath time, then bed time. Our toddler will usually recite it with me after a few times… “bath time then bed time”. 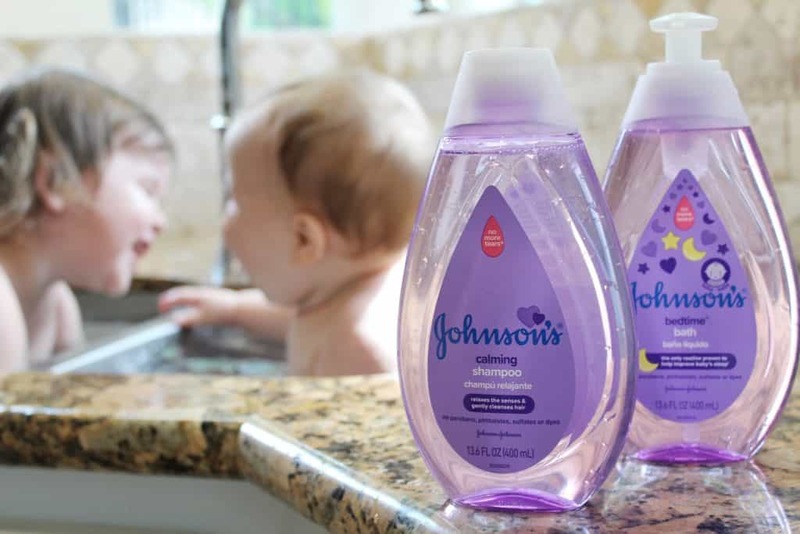 When it comes to bathing our little ones, it was an easy decision to use JOHNSON’S® Bedtime Wash and JOHNSON’S® Calming Shampoo. 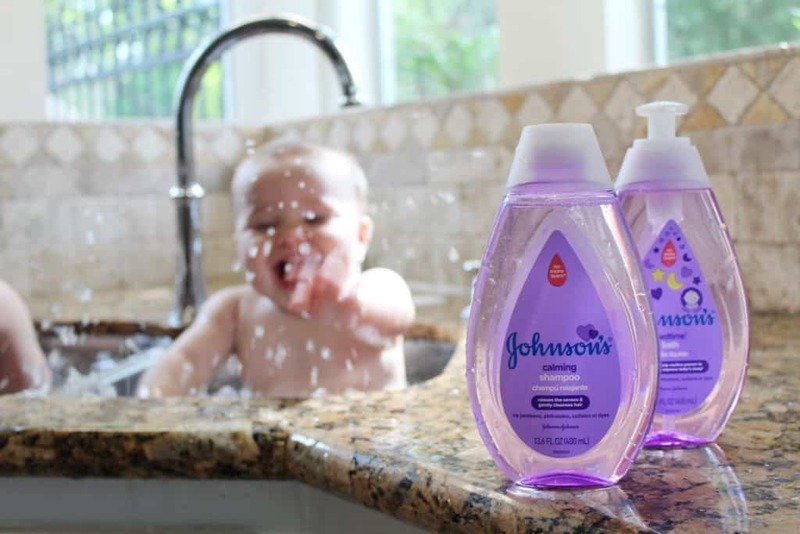 My mother used JOHNSON’S® Baby products with my sisters and me and I knew I wanted to do that same for my children. Although the product has evolved quite a bit from 30 years ago, on the inside and the out. 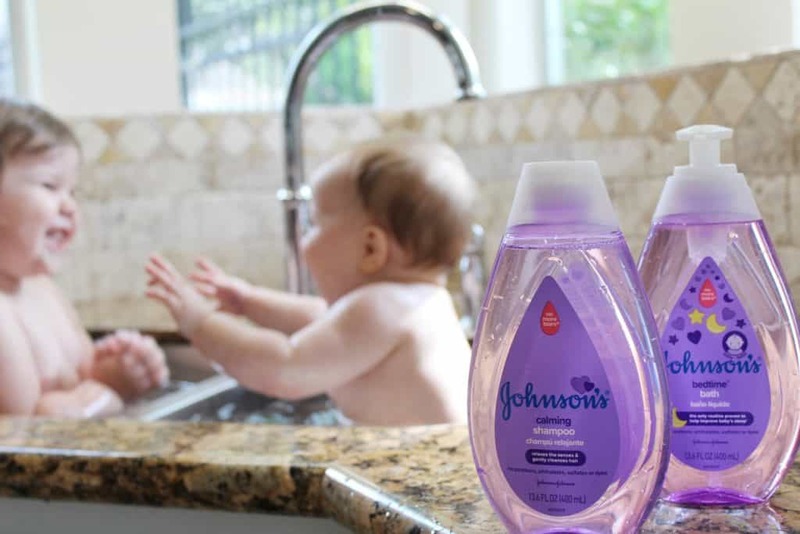 JOHNSON’S® newly reformulated baby products are free of parabens and phthalates, dye free, sulfate free and gentler than ever on baby’s skin. 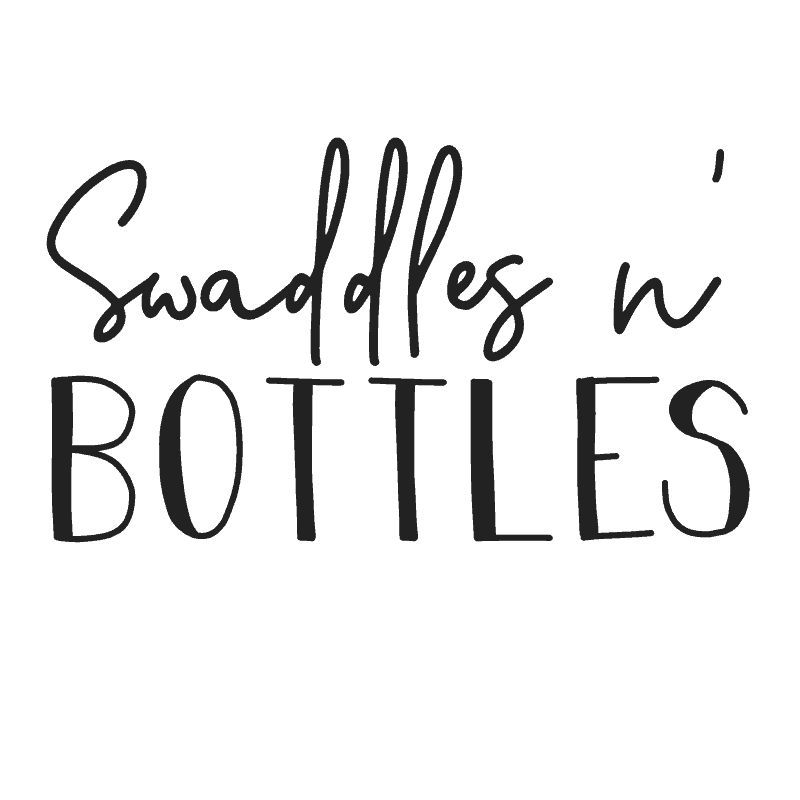 Plus, they are now made with over 90% naturally derived chemicals which leaves me feeling worry-free about what I am putting on my baby’s skin. I’m sure many moms could agree that bath time can get a little rowdy. A good splash party would probably also be considered part of our nightly routine 🙂 but once we pull the girls out and wrap them in towels, you can almost see the exhaustion spread across their body. The yawns start and their little body’s seem to be running on less energy. This is when the best cuddles of the day happen! Once bath time is done, we finish off our nightly routine with new JOHNSON’S® COTTONTOUCH™ baby lotion and JOHNSON’S® Bedtime Lotion . We use the JOHNSON’S® Bedtime lotion on Emmy and the new JOHNSON’S® COTTONTOUCH™ lotion on Nora. I was surprised to read that baby’s skin in 30% thinner meaning it really does need extra gentle care. The JOHNSON’S® COTTONTOUCH™ lotion is actually blended with real cotton. 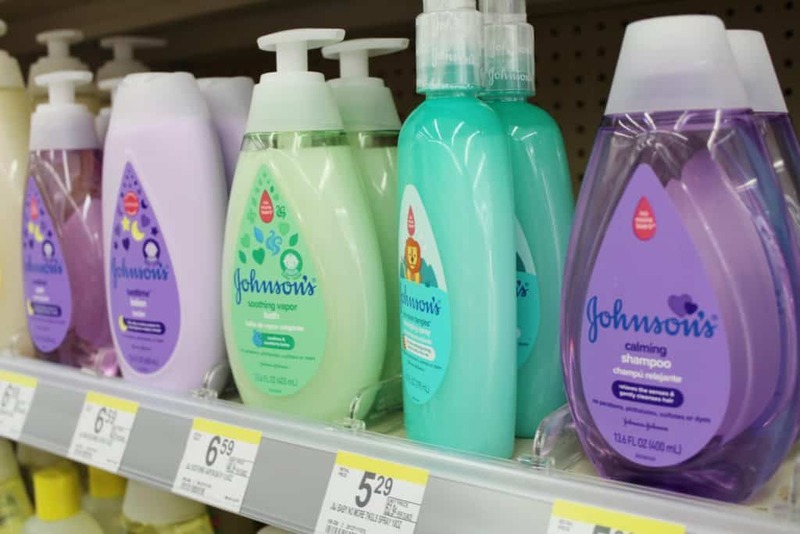 And you know I can’t talk about JOHNSON’S® Baby products without talking about the smell. 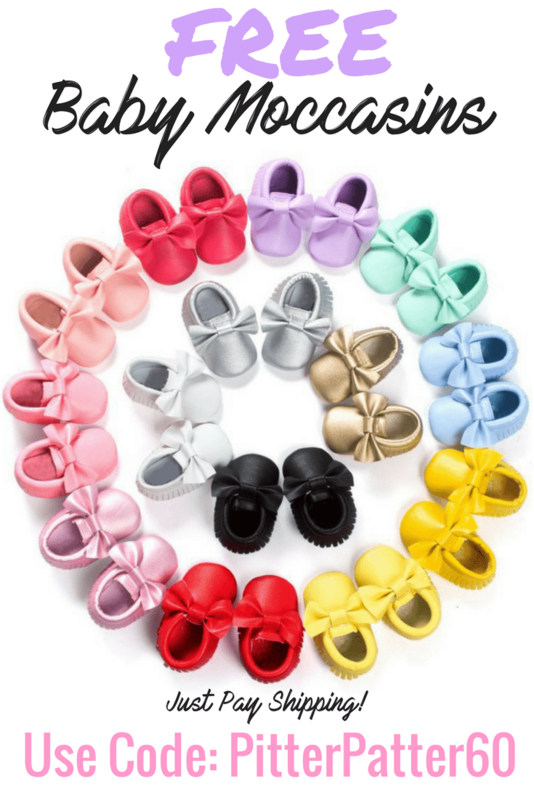 You all know that baby small… it’s almost euphoric! It makes those late night cuddles even sweeter! After baby massages, we get dressed in our pajamas. At this point, Dad and I divide our forces and he takes one babe and I take the other. Nora likes to be rocked to sleep, while Emmy likes to read a story and sing a song. We each spend about 5-10 minutes with the girls, then give our goodnight kisses and they are out for the night. 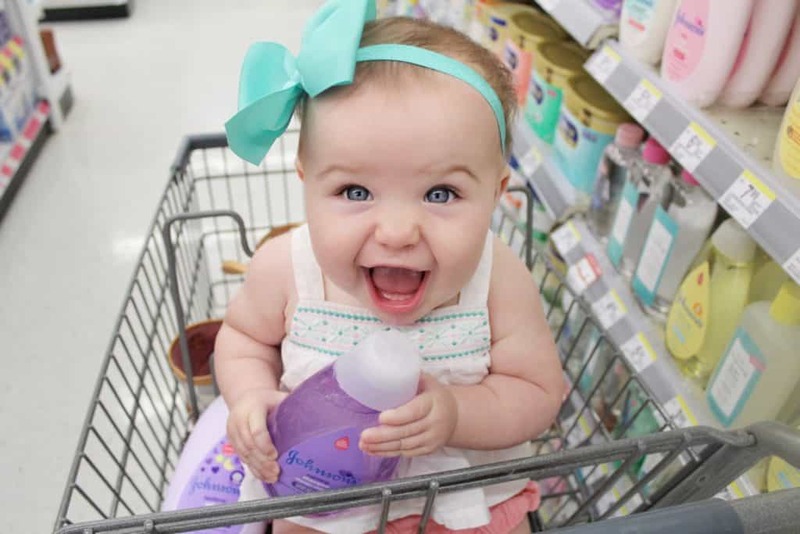 Now when it comes to shopping for our JOHNSON’S® baby products, we love Walgreens. 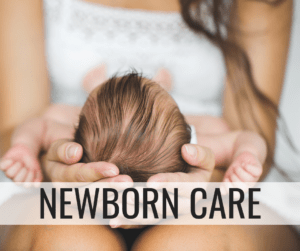 We have one right down the street from our home and can’t tell you how many times we have had to pop in and out to grab that one thing we don’t have, including baby products! I can’t think of a time we have walked in and not been greeted by a smiling face. They shelves are always stocked with exactly what we need and their drive thru services have been a life saver on more than one occasion while I have both babies in the car! 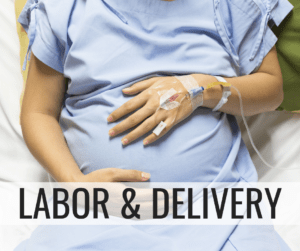 So if your little one’s are struggling to sleep or the process of getting them to sleep seems to take forever, consider implementing a bedtime routine with JOHNSON’S® Baby products. 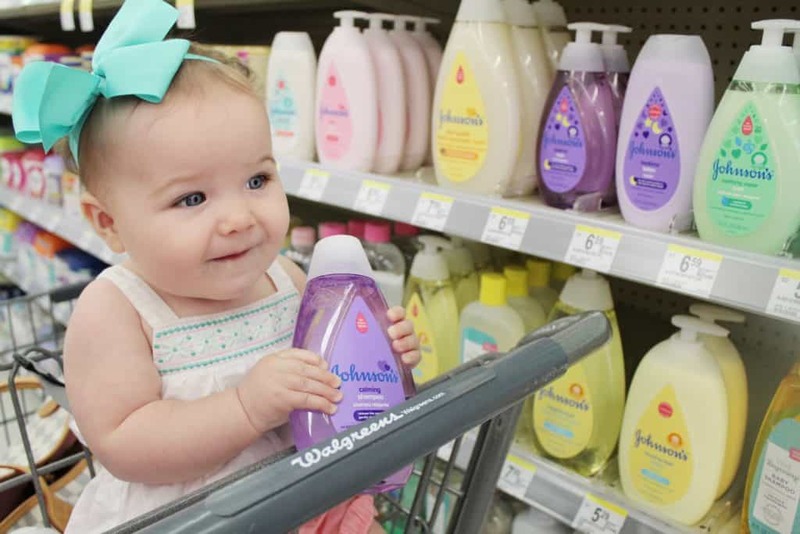 You can find a digital coupon for Walgreen’s savings on JOHNSON’S® baby shampoo, wash and lotion here. Offer expires 9/22/18.